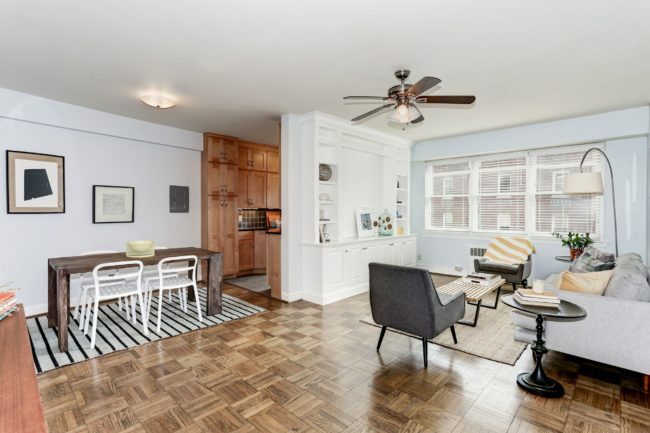 2 Bed/2 Baths in Can’t-Beat-It Location for Under $500k? Yes, It Exists!! Co-Op Fee of $696 including ALL utilities and property taxes! Open House Sunday, June 17 from 1-3pm! 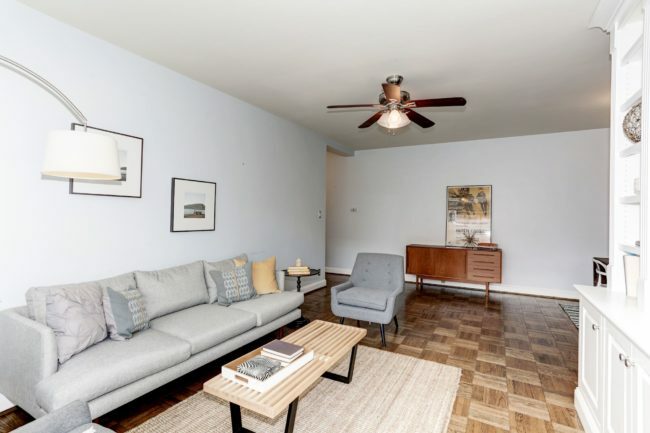 This home has everything you’ve been dreaming of: an extra bedroom for guests, a can’t-be-beat location, an updated kitchen with tons of storage, and a rooftop deck to boot! A secluded wooded neighborhood…in the middle of it all! 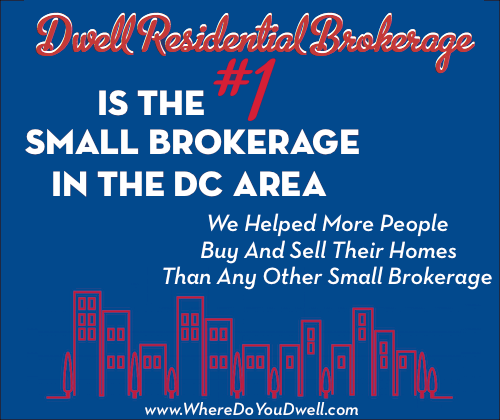 Adjacent to Adams Morgan, Columbia Heights, Woodley Park, and Mt. 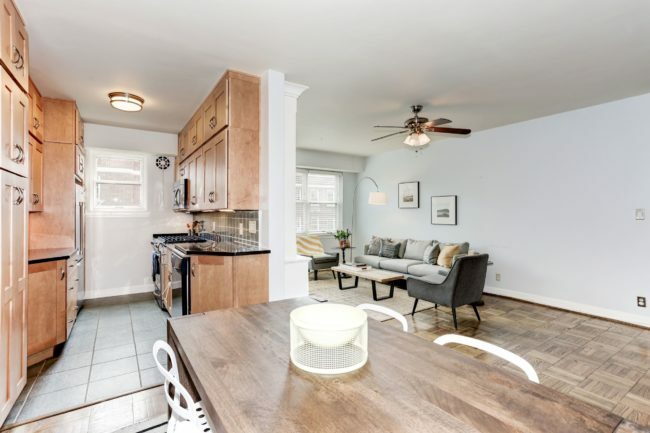 Pleasant, this home is PERFECTLY located for anyone who wants easy access to everything DC has to offer! You’ll be able to meet your friends for drinks anywhere in the city…but you’ll probably want to invite them over to your stylish new home instead! Airy and open, your living space is spacious enough for couches and chairs yet also so cozy you won’t ever want to leave. 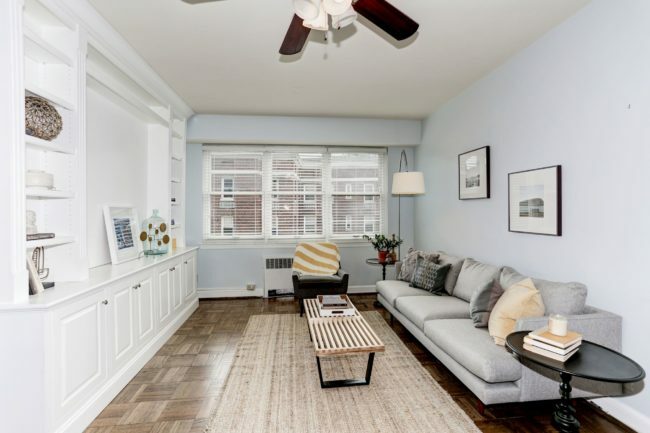 Notice the beautiful restored hardwood floors throughout the space! The living room is open to the dining room, and just around the corner from the kitchen – perfect for entertaining guests! 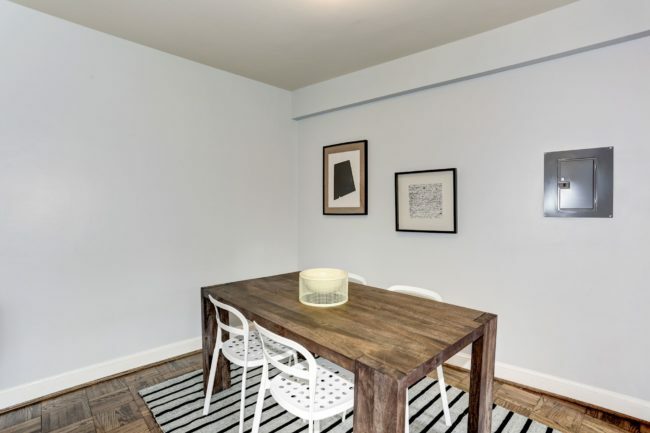 Enjoy dinner parties or quiet meals at home in your separate dining room. With the open layout of the home, you’ll be able to socialize with friends while whipping up something amazing for dinner! 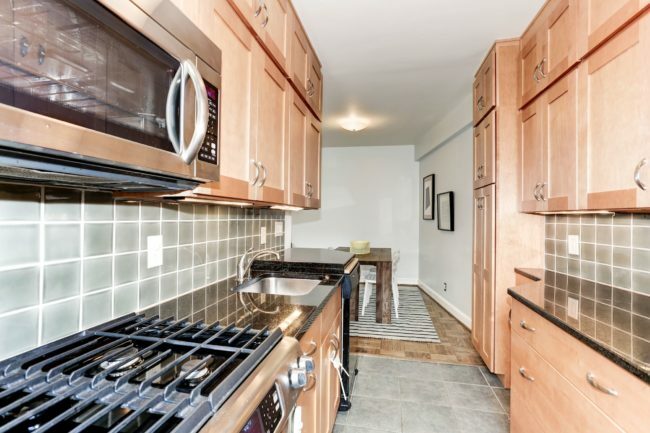 Light fills this galley kitchen with beautiful light granite counter tops and updated appliances. 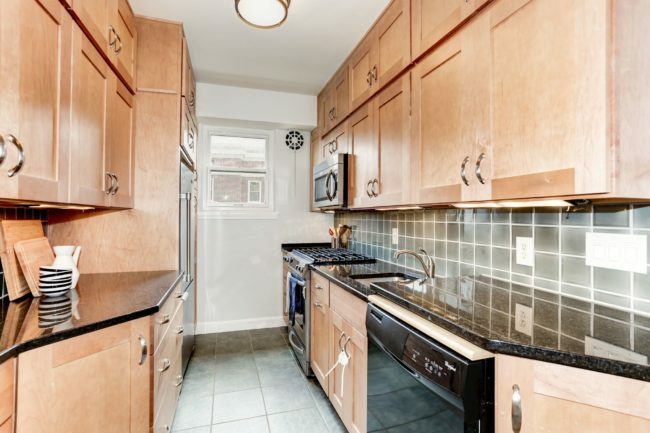 Plus the kitchen has plenty of cabinets for storage and counter space for cooking your favorite meals. It also has a dishwasher! 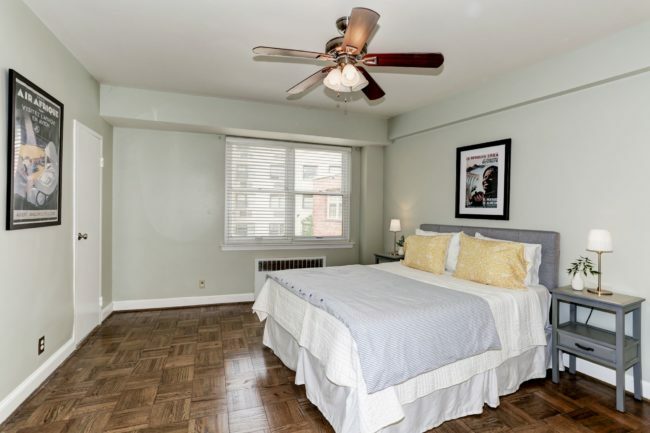 The master bedroom has ample amounts of space and plenty of light. Big enough to fit a king-sized bed along with plenty of dressers and nightstands, you’ll never run out of space in this great room! 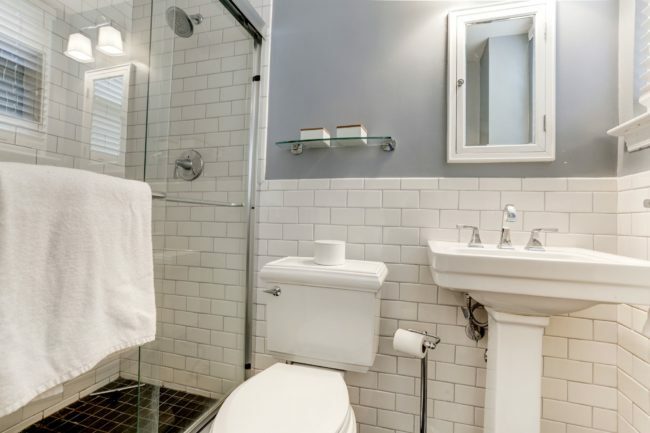 Plus, right off the master is the entrance to your ensuite bathroom! 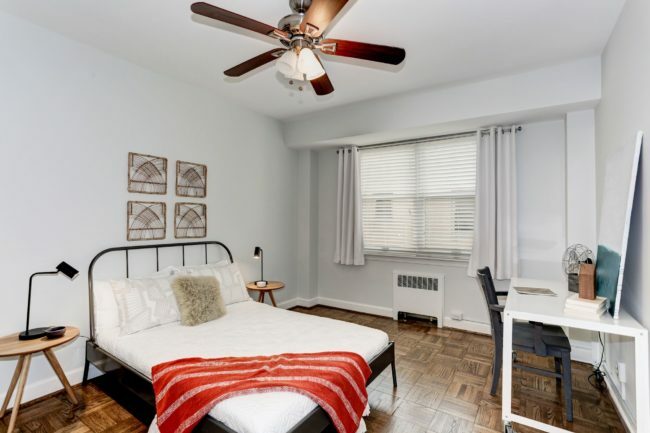 The second bedroom is roomy enough for a office, guest room or even a kid’s bedroom. 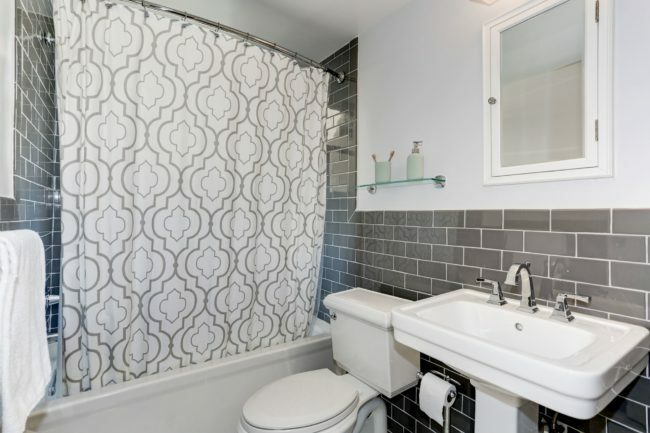 There’s also a SECOND bathroom! 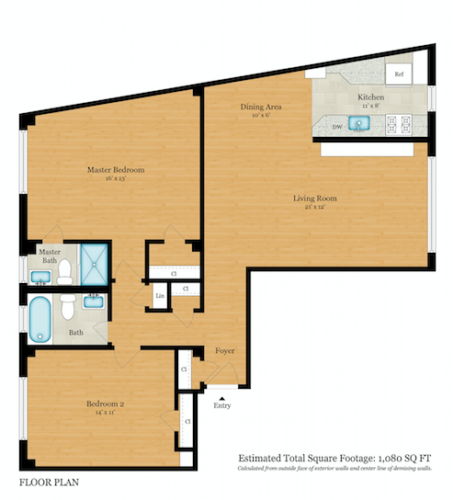 Check out the great floor plan above! 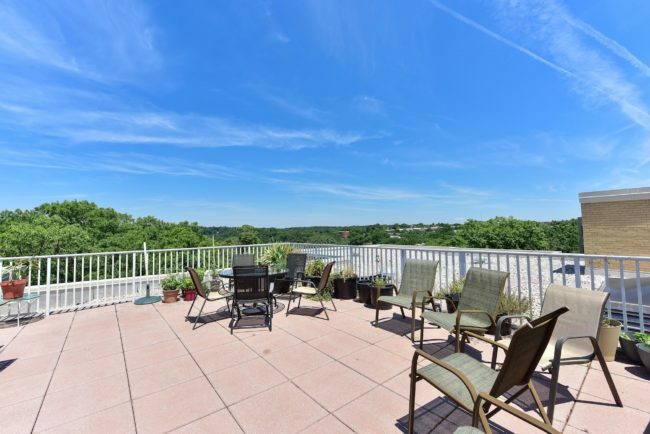 This awesome roof deck is the perfect place to relax with your friends and take in the city view. 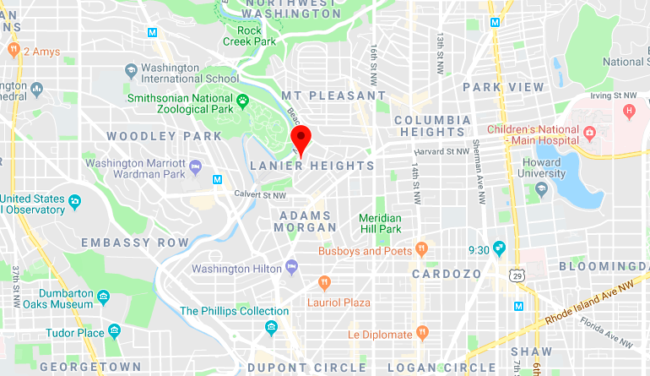 Lanier Heights is truly a residential neighborhood, with quiet, tree-lined streets and friendly neighbors, but with plenty of shops, bars, and restaurants within just a few blocks! 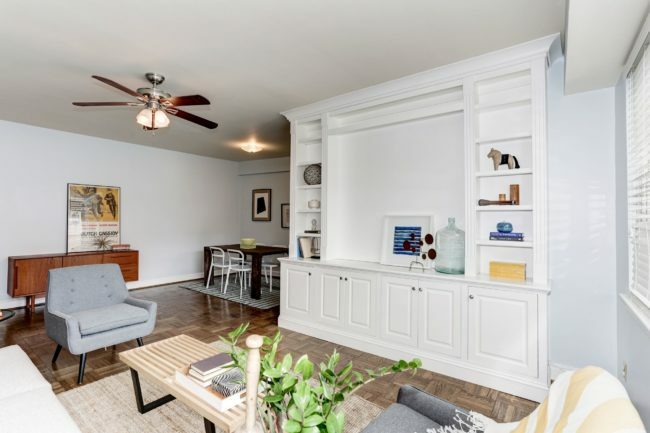 Living in this home means you’ll have access to the vibrant areas of Adams Morgan, Columbia Heights, Woodley Park, and Mt. Pleasant without having to deal with the craziness of crowds, tourists, or late-night noise. 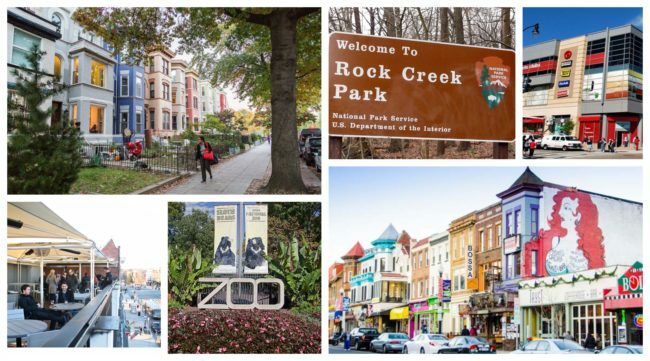 Plus there’s easy access to the National Zoo and Rock Creek Park! Contact Jennifer@WhereDoYouDwell.com to learn more or schedule a viewing of this home! Working with Amy was a fabulous experience. She is so laid back and makes the process so easy and comfortable- yet, she is knowledgeable and has your back at all times with any financial, legal or real estate issue that may come up. She is experienced, accessible, hard working and works with a great team of professionals. I was highly satisfied working with Amy and would definitely recommend her!